What's in a name? Well, if it's both wine and food, that's twice as good, no? 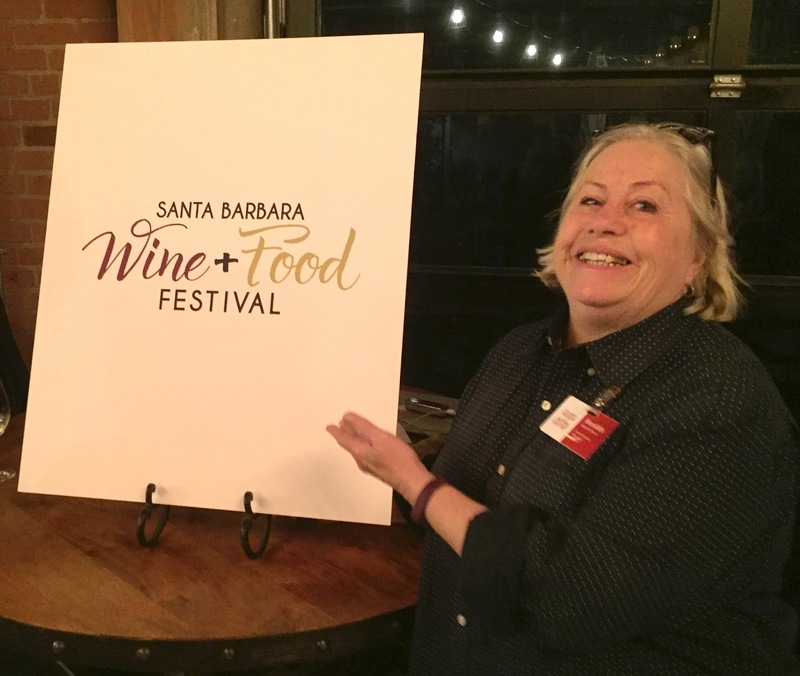 That's what the Santa Barbara Natural History Museum figured, so to celebrate the 30th anniversary of the longest running feast in Santa Barbara County it officially changed the name of the Santa Barbara Wine Festival to the Santa Barbara Food + Wine Festival. In the photo above you see Meredith Moore, the extraordinary organizer of this fete, showing off the new logo. The name isn't just branding bluster but the lord's honest truth, for no wine festival has as much or as good food as this one, which makes sense since SB has so much fine food to offer. But Moore has always also worked to get food booths close to wines that could suggest spot-on pairings, and her hope for the 2017 edition is to have a food vendor alongside each winery, 50 for 50.That's a perfect score in more ways than one. Here's some history of my coverage of the Festival in past years, when you had to suffer with only 20 or 30 food booths (of course, you might have got on the line at Chef Michael Hutchings or Renaud's or Ca Dario more than once, but I won't tell). And, in a moment of prescience, we gave the festival a Santa Barbara Independent Foodie Award back in 2012. *LIMITED TIME OFFER* Use promo code "wineandfood" to receive Member pricing on general admission. Hurry – this offer expires on Sunday, 1/29/17, at 10:00 PM! Tickets on sale here.